About the owner and the company. Greg Davis started a lawn business in 1979 with his best friend. He attended Texas A&M and studied Landscape Horticulture. He graduated from A&M in 1985. With his customer base growing, Greg started implementing the techniques he learned in college. Over the years Greg has incorporated stone work, iron fences, iron gates, decks, and arbors into his landscapes. Greg loves to make people happy and you will be very satisfied with his customer service. 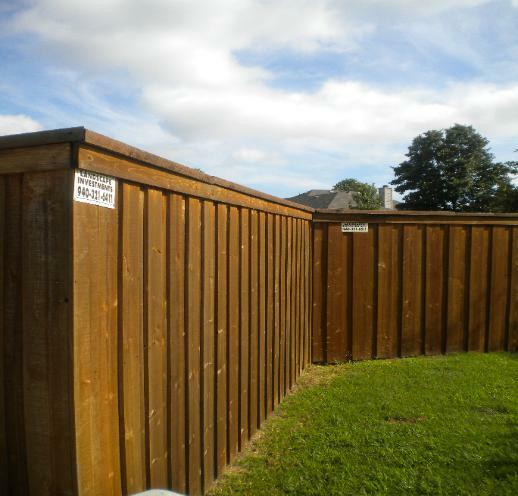 It's in Greg's best interest to make sure that your fence is not only beautiful, but built to last. Greg is so confident in his work he offers a five year guarantee. A member of the BBB with an A+ Rating! © 2010 Landscape Investments All Rights Reserved. .